With over 100 different kinds of loose tea that will exceed all tea lover's expectations. You're sure to find something you will love! What a great replacement for your White Chocolate Mocha….just add a bit of Chocolate Almond Milk…perfect duplication! Yerba Mate is not a part of the standard Camellia Sinensis plant but from a holly plant called the Ilex Paraguariensis plant that is indigenous to South America. Yerba Mate comes in two versions – Green (non roasted) Yerba Mate or Dark (Roasted) Yerba Mate, both coming from the same plant but different types of processing. Our Roasted Yerba Mate is a medicinal herb that share many common health attributes to the tea plant. Plus it has a dark and rich flavor that is similar to coffee. For many coffee lovers this is a great tea to transition to without all the stomach and caffeine concerns. In this blend we added Cacao Bits and Chocolate Chips to make this a great mocha yerba mate. In addition to the Yerba Mate we also added a wonderful combination of black teas from Sri Lanka, China and India. This combination of teas gives a full and hearty taste in the cup. Black tea can be steeped for a short amount of time or longer to bring out its astringency. Entirely up to you. The combo together give a great full bodied tasting tea. Iced Tea ~ Always Double the amount of Tea for the same size of cup! Ingredients: Organic and Wildcrafted Roasted Yerba Mate from Uruguay, Steep Me Proprietary Organic Blend of Black Teas with Wildcrafted Herbs of Caramel Bits, Cacao bits, Chocolate Chips and Hazelnut. Alternatively, try our Java Jitters Yerba Mate or Belgian Chocolate Black Tea. National Drink of Argentina, Paraguay and Uruguay! When talking about the many types of tea we sell, Yerba Mate is not a part of the standard Camellia Sinensis plant but from a holly plant called Ilex Paraguariensis plant that is indigenous to South America. Yerba Mate comes in two versions - Green (non roasted) Yerba Mate or Roasted Yerba Mate, both coming from the same plant but different types of processing. The finest yerba mate is shade grown in the subtropical rainforest, sheltered from direct sunlight to produce dark, hunter green leaves rich with flavor and nutrients. Seeds are planted in the shade of taller trees and the leaves and stems are harvested and dried by hand. After a flash heating process which preserves nutritional properties, the leaves and stems are dried at low temperatures and aged in cedar chambers for up to one year which produces a smooth, rich flavor. When talking about Traditional Yerba Mate, the standard drink for people of South America, it is the green or unroasted version of Yerba Mate. While we offer a lot of Yerba Mate, our clients prefer to drink Roasted Yerba Mate. These statements have not been evaluated by the Food & Drug Administration. The products offered by Steep Me a Cup of Tea or SteepMe.com are not intended to diagnose, treat, cure or prevent any illness or disease. If you have or suspect that you have a medical problem, consult with your physician for diagnosis or treatment. Use herbs as per instructions and always watch for any allergic reactions. You should always carefully read all product packaging and labels. Always consult your physician or health care provider before using any herbal products, especially if you have a medical problem. Steep Me a Cup of Tea or SteepMe.com and/or its proprietors assume no liability for any injury, illness or adverse effects caused by the misuse and/or use of the information or products presented. When talking about the many types of tea, Black Tea is the most well known and most widely available in many forms. Black tea can be found at any grocery or bulk store plus it can be found in Ready to Drink form at any convenience store. This tea has a lot of robust flavor and a nice dark red color when steeped. For many the fact that tea does not have much flavor, black tea can satisfy that need for a full tasting option. With all the tea types, Black Tea will have the most caffeine but it is considerable less then what they typical cup of Coffee may contain. For many people who are new to tea, Black Tea can be one of the first options because it has such a full flavor and color and it is easy to modify. Black Tea can be sweetened or even have milk added to make is a creamy hot beverage of choice. Black Tea origins are very vast. The premium Black Teas we carry come from China, Sri Lanka and the most Famous Darjeeling from India. We also source some of our Black Tea from Africa and Thailand for something unique. Normally, Black Teas will be in placed into combinations like the Industry standards of English Breakfast or Irish Breakfast but we also have many single country origins available. If you are new to tea, Black Tea is a great start. Lots of flavor and pairs well with sweetener or milk. A Plain Red Rooibos with a slightly sweet and creamy taste....great antioxidants and caffeine free! This is our best selling Mate - adding a bit of Chocolate to the Roasted Tea makes this a great Mocha Yerba Mate. We combined the best of the dark tea worlds by combining our Milky Way Puerh (chocolate) with our Carnival (caramel) Yerba Mate and Mate Heaven (chocolate) to make a rich and chocolatey robust probiotic tea. Perfect if you are a coffee lover with a bit of Mocha!! A great combination of our 3 most popular dark teas....coconut, chocolate and almond....and it tastes like a candy bar......yummy! Great with a bit of milk. A great combination of Roasted Yerba mate with a bit of a kick from English Breakfast Black tea and Hazelnut Essential Oil. Giving this Roasted Mate an even stronger Coffee Feel. 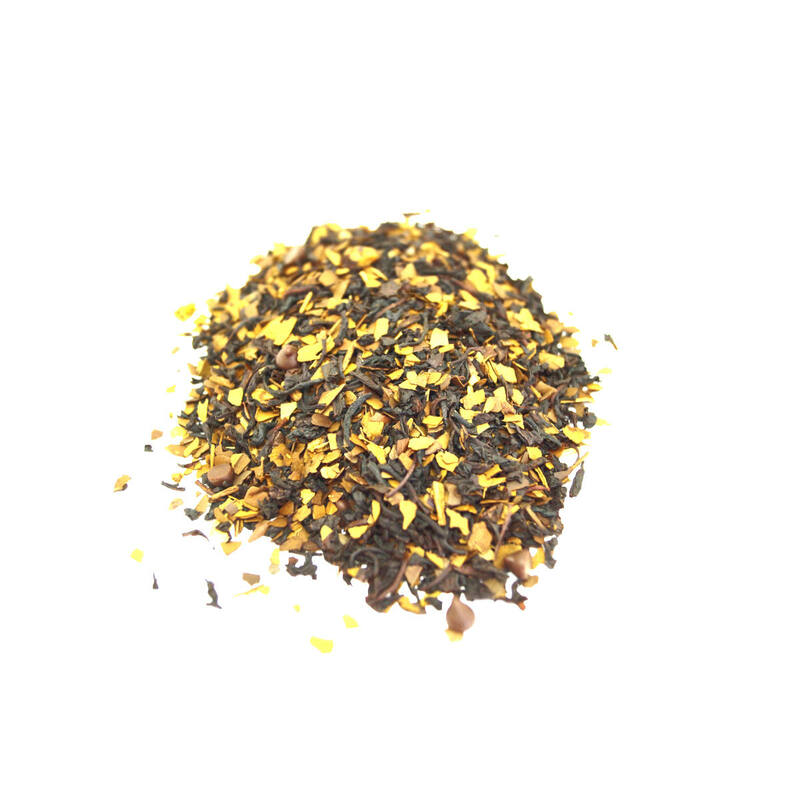 A great Coconut Dark Tea - a tropical taste with a dark tea aftertaste. Great with a bit of milk. If you are looking for a great alternative to Green Tea, this is it. A great green taste from the non roasted tea leaves plus a better kick in energy! If you are looking for a great alternative to Coffee, this is it. A great roasted tea from South America that has very similar taste to your friend the coffee bean...plus great health benefits and low tannins...give this one a try! Tag your photos with #wehaveateaforthat on Instagram. Steep Me A Cup of Tea is a trendy shop serving hot and iced beverages made by fusion. With over 100 different kinds of loose tea that will exceed all tea lover's expectations.